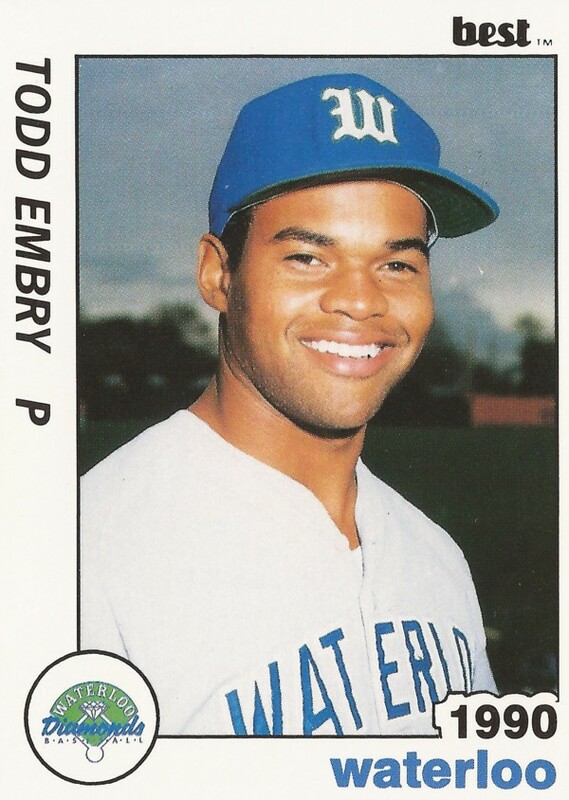 Todd Embry was rookie Medicine Hat's starter that night in June 1988, but he wasn't slated to go far. Still, with the innings he was given, Embry pitched well enough. He went three, giving up two runs on three hits, The Medicine Hat News wrote. "Our pitching was strong," fellow Medicine Hat pitcher Terry Wilson told The News. "Todd pitched well for us but reached that pitching limit and had to give way." Embry was starting his first season as a pro that year for Medicine Hat. He didn't go much further. He got just one more season, never making AA. 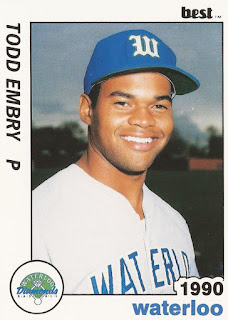 Embry's career began in 1987, taken by the Blue Jays in the 42nd round of the draft out of Paris High School in Texas. Embry didn't hit the field for the Blue Jays until 1988 at Medicine Hat. He got into 18 games, seven starts for the rookie Blue Jays. He ended with an 8.84 ERA and an 0-5 record. In a July team loss, Embry was one of several players ejected after a brawl. Embry isn't recorded as playing at all in 1989. He then returned in 1990 with the Padres. He played most of the year at single-A Waterloo, getting two starts at single-A Charleston. Between the two levels in 1990, Embry got into 31 games, starting 10. He picked up just one win to five losses. He also had an overall 6.25 ERA. It was his final season as a pro.